Sebastian Schultrich obtained the master degree in 2017. 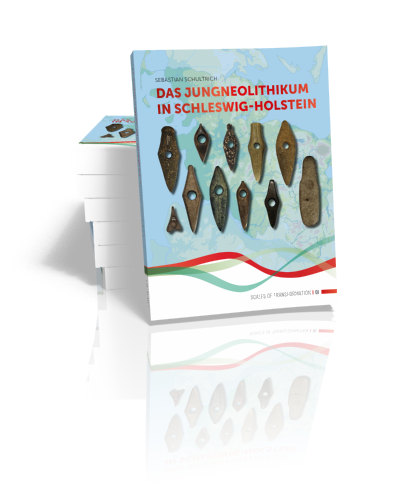 For his master thesis ‘Das Jungneolithikum in Schlewsig-Holstein’ he received the archaeology award of the Archaeological Society Schleswig-Holstein (AGSH) in 2018. After his graduation he worked as research assistant in the Collaborative Research Centre 1266 ‘Scales of Transformation: Human-Environmental Interaction in Prehistoric and Archaic Societies’ at Kiel University for subproject C1 ‘Late Mesolithic and Neolithic Transformations on the Northern and Central European Plain’. In 2018 he started as a PhD student at the Graduate School ‘Human Development in Landscapes’ at Kiel University with a project entitled ‘Maritime networks: Formation, development and significance of Neolithic networks in areas adjacent to the North Sea’. The publication of his master thesis is his first book, published in the CRC 1266 series ‘Scales of Transformation in Prehistoric and Archaic Societies’.